Antigens, Lymphoid Cells, and the Immune Response deals with the nature and properties of antigens and with the functional anatomy and cell physiology of the mammalian lymphoid system which responds to antigens. 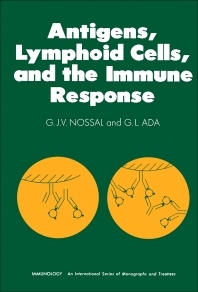 The book discusses the central questions in cellular immunology; the antigens and the afferent limb of the immune response; and antibodies and the afferent limb of the immune response. The text also describes the organ distribution of antigens; the functional anatomy of the lymphoid system; and the behavior patterns of lymphoid cells. The microscopic and electron microscopic distribution of antigen in lymphoid organs; the interaction of antigens with cells of the reticuloendothelial system; and the interaction of antigen with lymphoid cells are also considered. The book further tackles the role of antigen in immunological tolerance; antibody production and tolerance dissociated; and antigen and lymphoid cells. C. Is There Antigen in "Tolerant Cells?"